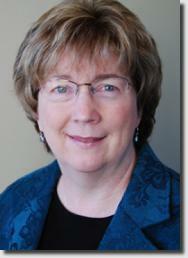 Karen Haag is a coach and presenter who wants to help you at your school. She specializes in demonstration lessons and teacher observations with feedback, as well as delivering professional development sessions. Karen has a broad range of experience from teaching grades 3 through college in New York, Ohio and North Carolina, and from serving as literacy coach for 14 years in Charlotte and nearby communities. She recently completed a three-year program as instructional coach with the NC District and School Transformation division, helping turn around North Carolina's lowest-performing schools. Karen found her calling as a teacher researcher through professors at the University of North Carolina at Charlotte. Karen interviews students and teachers, videotapes classes in action, and writes about what works and needs work in her much loved daybook. In workshops, Karen encourages teachers to reflect on their classroom practices. She says, "Teacher researcher is not a fancy title only a few of us have. Every teacher who considers how to improve her classroom is a teacher researcher." For the last 30 years, Karen has shared her knowledge about writing instruction through the Writing Project at UNC-Charlotte and through consulting with public- and private -school educators at low- and high-achieving schools in places as diverse as rural Alabama, North Carolina and Pennsylvania, Brooklyn, Detroit and Virginia Beach. Karen recently contributed to ILA’s What’s New in Literacy Teaching? Weaving Together Time-Honored Practices with New Research (2015). She co-authored ReadyTest for Learning A-Z (2014), “Differentiated Coaching” in The Reading Teacher (2011), and Thinking Out Loud on Paper, Student Daybooks as a Tool for Learning, published by Heinemann in 2008. She also shares her knowledge through this website and LikeToWrite.com, as well as her Facebook page, Facebook.com/LikeToWrite. Karen welcomes your comments, questions and suggestions. Visit LikeToWrite on Facebook and add your comments!